However, when it comes to coverage and content, I’ve been rather stuck on what to include. There are loads of details that I find fascinating but would surely bore the socks off of just about everyone else. That is to say: I realize and accept that commentaries are not everyone’s cup of tea (or coffee) and that their often technical nature tends to be kryptonite for most would-be readers. Because of this, I thought it best to ask around and see what would be interesting or of value to readers. Hence, I need your help. Riveting stuff, I know. By and large, this format and many of its features, specifically their content, reflect the ongoing dialogue between scholars in the field, with the hope that non-specialist wanderers will find it interesting or even informative. Moreover, the kinds of topics discussed–and the level at which they are discussed–are often determined by the aims or purpose of a given commentary series. For example: the International Critical Commentary (ICC) series is geared more for academics while the Interpretation (Int) series is orientated more for pastors and church-goers. (NB: this is not to suggest that the Interpretation series is not academically minded; all of the contributors in this series are experts in their respective fields). For comparison, with regard to the letter to the Galatians: the ICC¹ expends 65 pages on introductory matters, while the Int² covers just shy of 11 pages. And in terms of total coverage, the Int falls short of 160 pages (excluding bibliography) and the ICC swells to just over 500 pages (excluding bibliography and indexes). So, to come back round to my request for assistance: what kinds of things, or level of details, would you like to see in a NT commentary? What interests you? What bores you tears? What would be something that would enhance your reading and/or understanding of a NT text? What questions would you like answered–or at least addressed? What about style and/or format? I’m looking for insight from anyone who is willing to offer it, no matter if you are an expert in NT scholarship or if you have a scintilla of understanding about Christianity or somewhere in between. I would love to hear from you so that I can write for you. ¹ This refers to E. de Witt Burton’s 1920 commentary in the ICC series. ² This refers to C. Cousar’s 1982 commentary in the Int series. literary license, or forgot to read the whole thing? Monday, 06-Jan-2014 marked the beginning of my first (official) online course that I’m teaching for Johnson University. The course is a 7-week intensive study of 1 Corinthians for the MA in Intercultural Studies program. To be fair, the course is really a 5-week intensive on 1 Corinthians, seeing that week 1 deals with introductory matters and week 7 is missions orientated–in view of what we learn from 1 Corinthians, of course. While preparing for/writing the course, I had the opportunity to revisit the text in a rather detailed manner–something that I have not done since the middle of October. 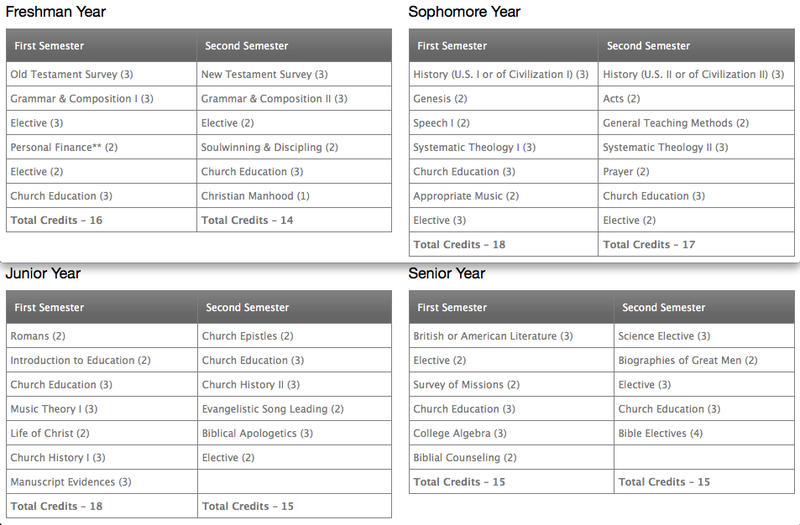 (I took a break from 1 Corinthians because I needed to, seeing that I spent nearly 5 years exegeting the thing). In this revisiting, I was also able to look at a few things more closely–things that I could only consider briefly when doing my PhD. One of these bits was the Thanksgiving portion of the letter (i.e. 1 Cor 1.4-9), which contains a number of salient details relevant to what Paul argues in the letter. In my preparations for this course, I wanted to interact with English translation and consider how they deal with certain portions of the text. When I did this with the Thanksgiving section, something struck me as rather surprising. The specific passage in mind is 1 Cor 1.4-5, which I translate as: “I always give thanks to my God concerning you for the grace of God that was given to you in Christ Jesus, since in all things you were made rich in him [Jesus]–in all speech and all knowledge” (εὐχαριτω τω θεω μου παντοτε περι ὑμων ἐπι τη χαριτι του θεου τη δοθειση ὑμιν ἐν Χριστω ͗Ιησου, ὁτι ἐν παντι ἐπλουτισθητε ἐν αὐτω, ἐν παντι λογω και παση γνωσει). By and large, the majority of English translation agree on the big ticket items in this passage: God is always the recipient of Paul’s thanksgiving, the Corinthians are always the indirect object, God’s grace is always the “thing” given to the Corinthians, Christ Jesus is always the agent through whom God’s grace comes, the Corinthians are always rich in/because of Christ, and there is always something about “speech” and “knowledge.” Admittedly, some will add a flourish here and there, ostensibly to make the text “come alive” to its readers, and these flourishes range between “Hey, that’s quite good” (e.g. “Every time I think of you–and I think of you often!–I thank God for your lives of free and open access to God, given by Jesus” [MSG]) and “Okay . . . I think I see what you’re doing” (e.g. “I never stop thanking my God for being kind enough to give you Christ Jesus” [CEV]). Excuse me?! How the . . . Have you read 1 Corinthians!? Did you happen to pick up a commentary on 1 Corinthians or even a scholarly article and, I don’t know, see what scholars have to say?! “Better” and “more complete” than what–a rock? Two minutes more reading of the letter will demonstrate that the Corinthians’ teaching and understanding are precisely what Paul addresses. And it’s clear that he ain’t happy with either (or both). “All your teaching of the truth is better. Your understanding of it is more complete.” Give me a break. You should have your license revoked, or at least suspended. I happen to like this one, mainly because I think it brings out Paul’s sarcasm, which obviously appeals to mine. Although, you can still access this version online. I truly wish I was making this up, but alas it is legit. A Baptist College in Elgin, IL has flexed its well-defined complementarian muscles and organized study programs it deems appropriate for men and women ladies. Here is the “General Studies for Men” track: Ah yes, the obligatory course on “Appropriate Music”, which none of the three schools I went to offered. It’s no wonder I still have struggles in my life–with all that Beethoven, Mendelssohn, Bizet, Tchaikovsky, and (heaven forbid) the modern Yo-yo Ma blaring in my ears all the time. Maybe I can audit that course… And I know prospective (male) students are saying, “Dude, Brother, I can’t wait to take ‘Biblial Counseling’ my Senior Year!” I can only assume that 2 hours on “Church Epistles” either means an incredibly truncated look at NT epistles, which is sad, or how to write killer church newsletters. And why do I have a feeling that 3 hours on “Manuscript Evidences” (in conjunction with “Biblical Apologetics”) means: how to defend and honor the KJV against all the pagan corruptions (e.g. NIV, NASB, or even the Catholic “Spirit of the Reformation Bible”)? 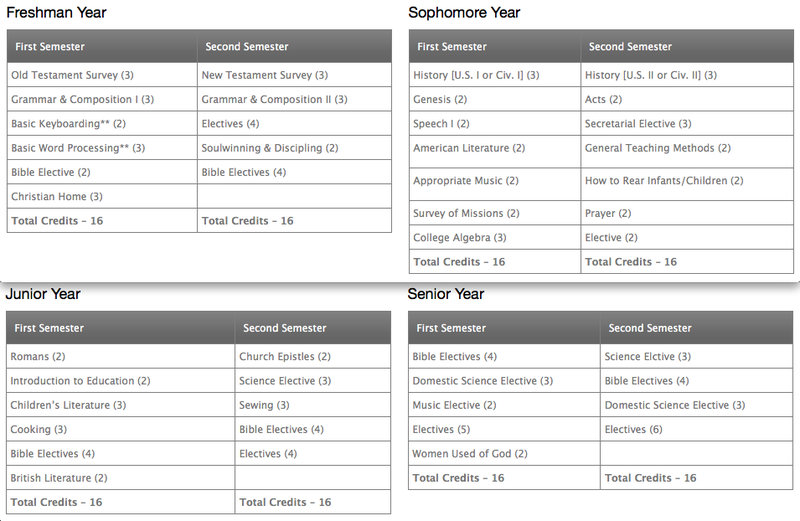 And here is the “General Studies for Ladies” track: Wait, what happened to all the theology courses? The Church education? Or even “Biblial Counseling”? Oh, I forgot; we’re talking about ladies here, which means they only need to know “Basic Keyboarding” and “Word Processing” skills so that they can tackle that “Secretarial Elective” their Sophomore year–can’t waste time on all that heady, abstract, theology stuff. Moreover, they can’t lose any ground on “How to Rear Infants/Children”, which also means they need to know how to “Sew”(!). And if they’re feeling really ambitious, they can take 6 hours of a “Domestic Science Elective”, which, for PBC, I’m assuming means operating hi-tech appliances in the home. Why else would you give it a fancy title if it wasn’t something technical? …this kind of stuff truly breaks my heart. If you’re paying attention, you will notice that I failed to complete a few books that were in process–noted in last year’s post. Part of the reason for not finishing them is because they were in boxes for months (being shipped from England) and I simply forgot I was reading them. Now that the books–along with the rest of our England stuff–are with us, I’ll get back to them this year. And finish them, this time. We’re not planning on any major moves.